It’s always a daunting task trying to find a good chemistry read. 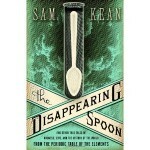 However, The Disappearing Spoon, by Sam Kean, was actually a pretty good chemistry related book. I’ve read some really boring chemistry related books… the ones that normally put people to sleep… but this book was fairly definitely entertaining. 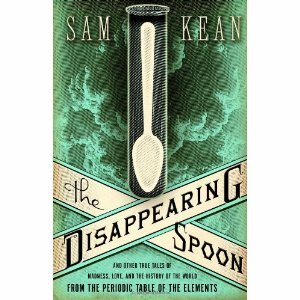 Essentially The Disappearing Spoon is a collection of stories about the different elements in the periodic table. Kean goes over the basics – periodic trends, how the elements are numbered, etc. 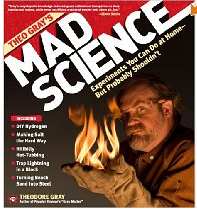 You really don’t have to know anything about chemistry before reading this book. That’s one reason I found it to be a good book; it’s great for those who have an interest in chemistry but don’t know a ton about it yet. UPDATE June 6, 2011 – I spoke (or wrote in this case) too soon when I wrote this review. I had only read about the first quarter of the book when I wrote this post. I began reading the rest of the book and I can’t put it down. 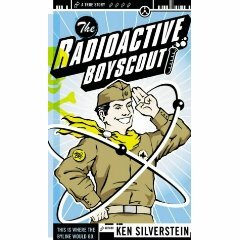 It is seriously one of the best chemistry related books that I have ever read… and I read A LOT of chemistry related books. I would definitely, 100%, recommend The Disappearing Spoon. I sincerely apologize for writing this review before I read the whole book. Honestly, I got a little bored reading parts of the book. It’s probably because I’ve read about most of the topics before and already have a thorough understanding of chemistry. That being said, there were parts of the book where I couldn’t put it down. I learned some pretty cool trivia that probably would have taken me years to find by reading textbooks and such. There were some interesting facts about birth control, acids, and unusual properties of some common substances. Would I recommend The Disappearing Spoon? Yeah, definitely. 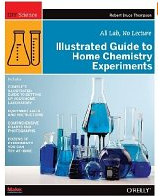 Especially for those who are just starting out with chemistry, it’s a great book to read. It’ll show you that chemistry isn’t just about mixing two chemicals together and writing long lab reports. Feel free to click on the amazon link below to buy the book for yourself!